One of my biggest surprises of the trip was how warm and protective the men of Morocco were. Part of that stems from the relationships that Peggy, our trip organizer, has cultivated over the many years she's been going to Morocco and working with the same people. I was really touched by the extreme toughtfulness of the men we encountered. Here are a few of my favorites, and the one's I was actually able to capture on film. Gary was the owner of Jnane Tamsna and creator of the vast gardens on the property. He also has developed a kids education program where he's teaching them how to grow appropriate food. 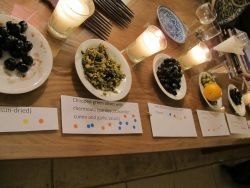 He even invited us into his home on the final night for a farewell cocktail and olive tasting where we all voted on our favorites using a multi-color stickering system. You can tell he's successful for a reason. The whole staff at Jnane Tamsna was so helpful, and so friendly. It's not often someone hugs me when I come back to my room. There were many random, bit players that played a small role in our trip, but made a big impact, like Robin Hood. 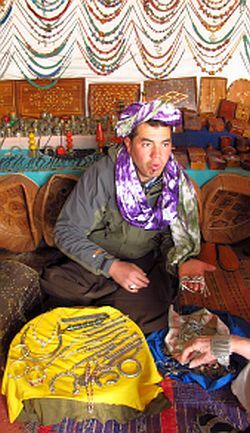 Robin Hood owned a small shop in the High Atlas mountains, but talked like a smooth city slicker, taking from the rich Berbers to give to us. He was quite entertaining, and after meeting his dad who owned a tiny carpet shop next to his, we had to wonder where he developed his eccentricity. 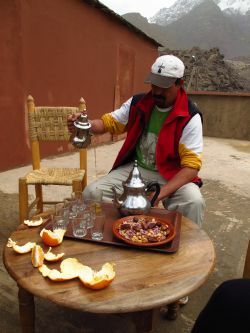 Mobrak, our trail guide, was also wonderful, and poured a good Moroccan tea. 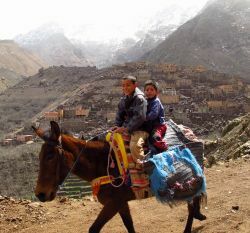 The boys in the villages were also adorable, including these 2 little one's we found riding a mule into the village. We were treated to a human beat box performance by Larby at Sidi Kaouki. He was quiet by day, lighting candles and shuffling in the shadows, but by night, he comes into his own with a harmonica and Moroccan music, which in turn led to some belly dancing. 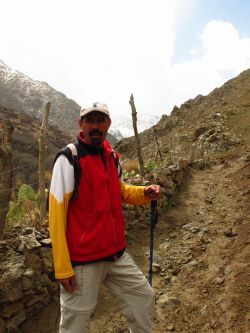 The men at the Kabah du Toubkal were also exceptional. After a cooking demonstration and tea, we started learning more about a few of them. Brahim is single with an infectious, belly laugh. Several recommendations were being thrown out for Brahim of some of the ladies who work in the other locations we traveled, and Brahim just laughed and said he can't have a city girl. He called them "zig zag" girls. When he said he was looking for a European woman, one of the guys shot my hand in the air, but I had to confess to being a bit of a zig zag girl myself, which prompted a tete a tete with me and Brahim on the intricacies of zigging, zagging and European life. 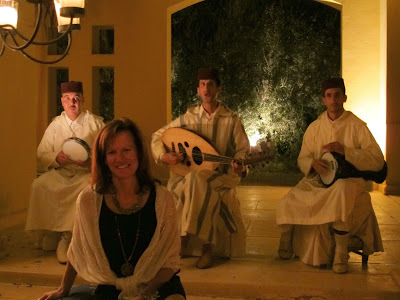 One of the most special treats we received on this trip was a performance by many of the men from the Kasbah and town. They sang in a call and response way and their voices filled the room, along with their drums engaging your whole body. They invited us to join them and dance, which we did. It was a wonderful experience. I'd be remiss not to mention how lovely all of the ladies were as well, but for me, that wasn't as much of a surprise. 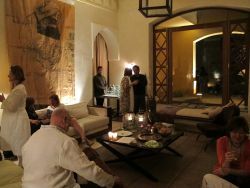 The Sidi Kaouki Inn is nearly an all female run establishment, and we couldn't have been made to feel more welcome. Baija, Meryanne, Peggy, Ashley, Nagette and all the ladies on the trip made for a most memorable experience. It was the combination of all the people, places, animals, food and experiences that made this a trip to remember.